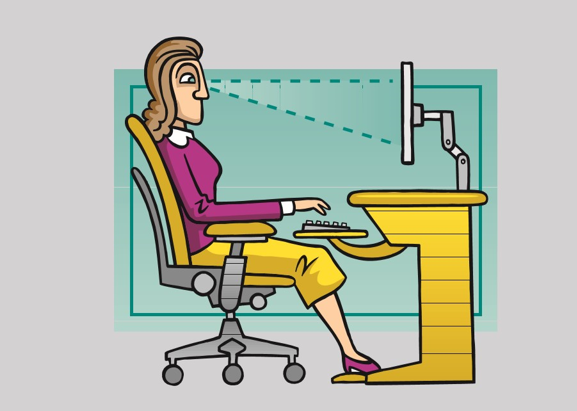 Little Secret: There is nothing mystical or complex about workplace ergonomics. Apply a little logic and the right tools can fit workers to the physical reality of the workplace. 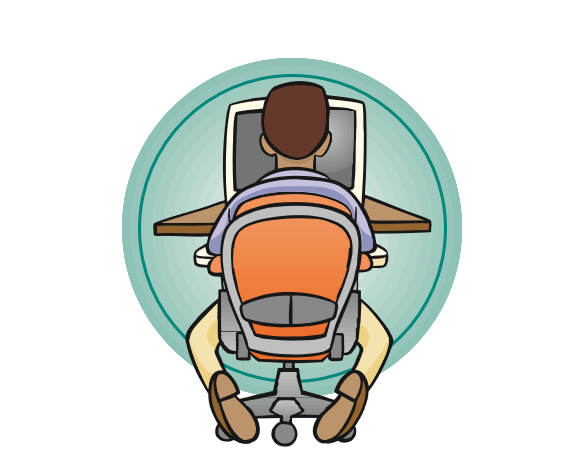 Here are 22 easy-to-implement Ergonomic Tips and Ergo-cises. Questions about how to make your workplace ergo-friendly? 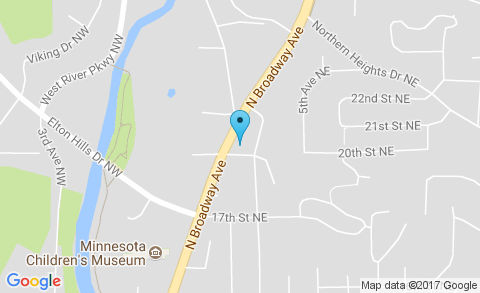 Always feel free to give us a call! 1. Noise. Noise is often overlooked as an ergonomic issue. 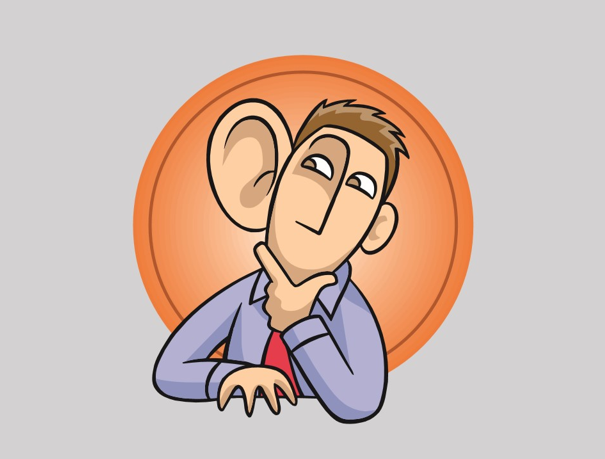 The impact of interruptions from ambient noise on both workplace productivity and worker well-being has been well documented in several government studies. Newer speech privacy systems can effectively “block” nearby conversations with a technologically advanced, comfortable, sound. And reduce worker stress levels. 2. Not all keyboard platforms are alike. Workstation configuration and body characteristics can be limiting factors when it comes to keyboard platform selection. 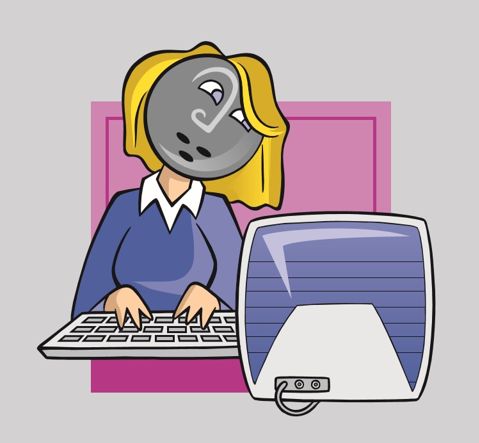 A broad shouldered worker may prefer a wider keyboard/mouse setup. A smaller person may require a closer mousing surface to reduce reach. Remember, a keyboard platform provides ajustability, but one size will not fit all people are places. 3. Avoid the “tuck”. 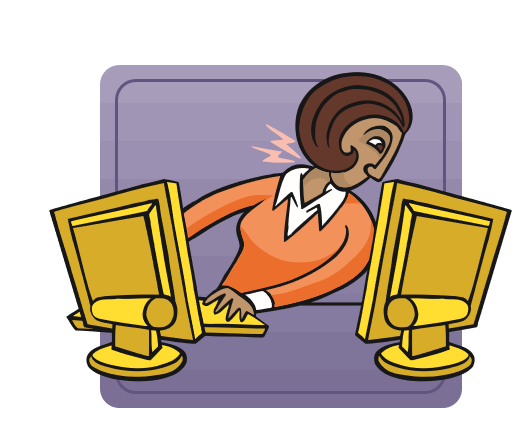 Workers who lean forward when using the computer often find their feet drift back to rest on the base of the hair. Others even tuck their feet under the chair. Your feet need adequate support and the “foot tuck” doesn’t provide it. 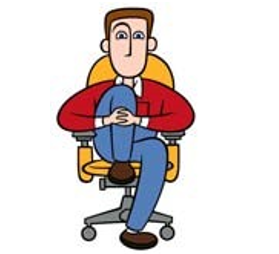 Sitting back in the chair with the legs extended improves circulation and overall comfort. If foot support is an issue consider adding a footrest. Avoiding the “tuck” could improve your day. 4. Keeping Focus. Eye muscles, just like other muscles get tired when held in a static posture. Staring at a monitor at a fixed distance forces your eye muscles to work hard to converge the image while focusing on the screen. To eliminate static vision, periodically give your eyes a rest. 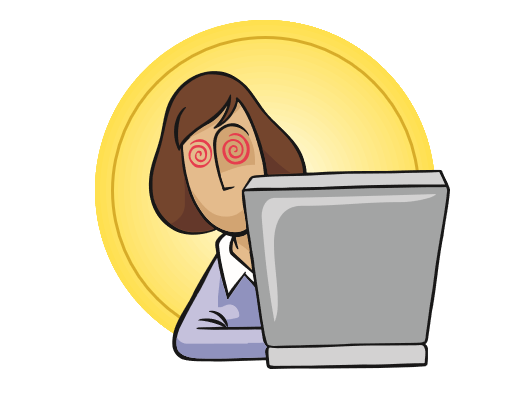 Focus away from the screen every 20 minutes on an object 25-40 feet away to help prevent eyestrain. 5. A light adjustment. Many computer users turn off their lights in overly lit offices to avoid eyestrain and headaches. Lighting levels do not need to be as bright for computer work as for reading and writing. For greater comfort, lower ambient lighting for computer work and provide directional lighting for documents or desk work. Flexible task light can add the light where it is most needed. 6. A flick of the wrist. 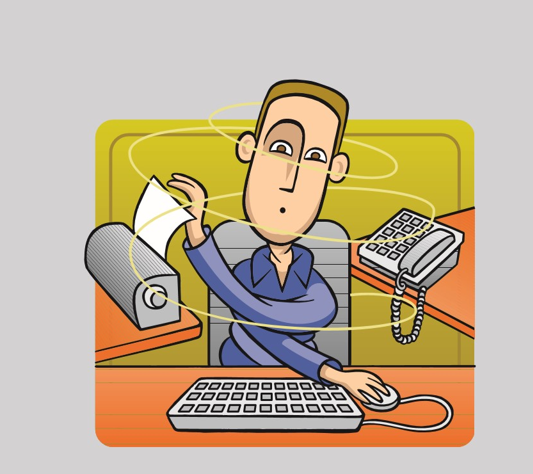 Moving your mouse with a back-and-forth wrist movement, often known as “windshield wiping”, increases risk of pain and injury to that area. Bending the wrist up, down, or to either side while mousing can cause placed strain on the wrist nerves and tendons causing inflammation and nerve entrapment. 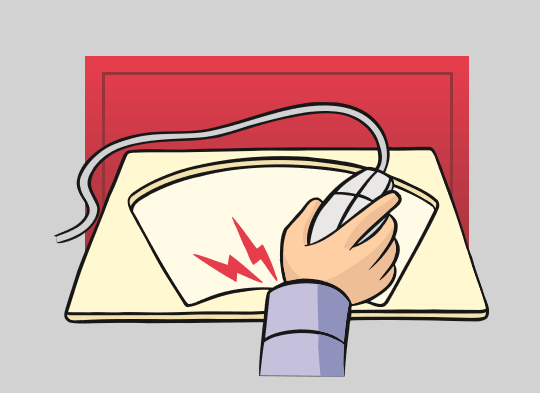 Use whole arm motions when operating a mouse and avoid doing the twist with your wrist. 7. Keep it moving. Sitting still may be proper demeanor for schoolchildren but it is inadvisable for computer workers. A fixed posture held for too long can reduce blood flow to muscles and increase fatigue. Over time it can lead to pain and injury. Remember, regular movement keeps muscles from getting stiff and sore. 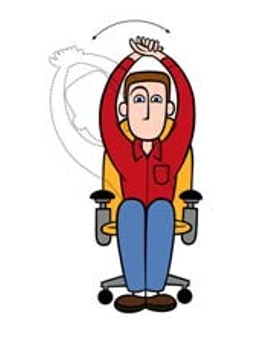 So readjust your chair often, stretch regularly, and vary your tasks throughout the day. 8. Dueling monitors. If you use two monitors throughout the day position the one you use more often closer to you. If you use them equally, center them directly in front of you and angle them in a slight outward “V” shape. A flat panel monitor arm –even a double arm–is a great way to add adjustability while also freeing up work surface space. 9. Don’t be so edgy. You may find yourself on the edge of your seat during a horror movie. 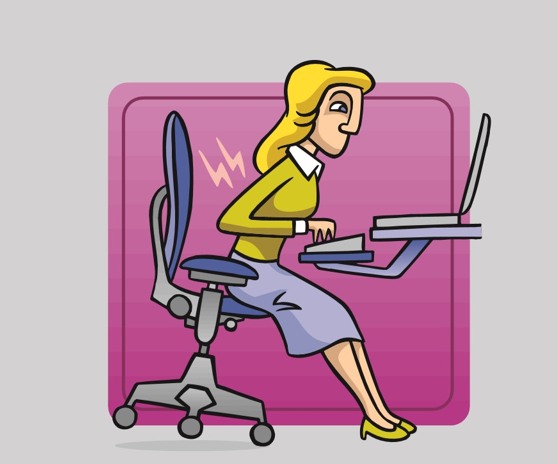 But sitting on the edge of your chair while working on the computer places strain on the back muscles and ligaments. Try to sit all the way back each time. If necessary, move your monitor closer to make the characters larger to see. Let the chair do its work of supporting your back so you can do your work more comfortably. 10. Taking the lap out of laptop. Working with a laptop perched on your lap may seem comfortable, but it can wreak havoc on your beck. Bending your neck down to view the screen can strain the next muscles which could lead to pain or injury over time. 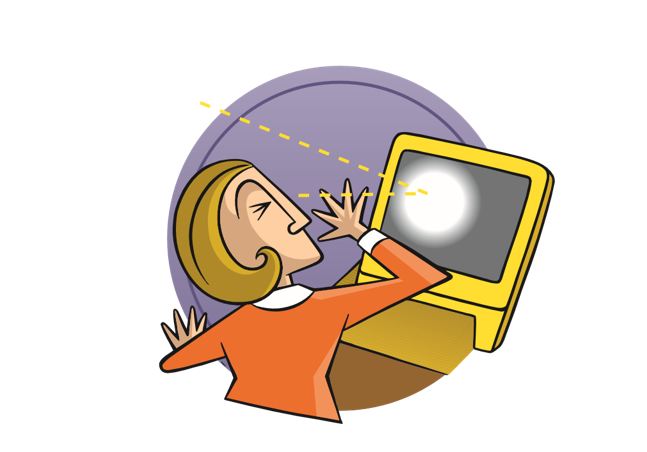 Elevate the laptop on a platform to position the top line of the screen at or a little below eye level. Then add a full size keyboard and mousing device to go to work. 11. As low as it goes. 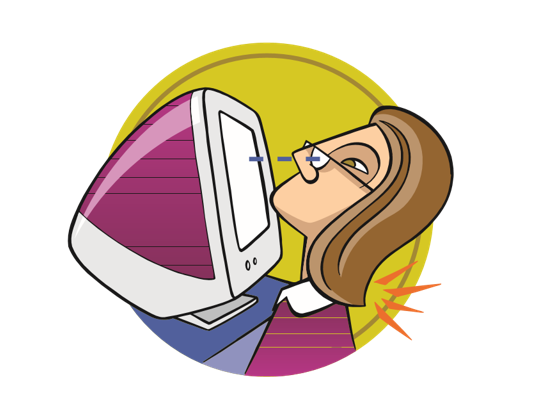 If you wear bifocals while computing you may be bending your neck backwards and placing stress on it as you look through the bottom of your lenses to see the screen. Consider your relationship to the monitor. Lower it as much as possible. A flat screen on an adjustable supporting arm is ideal for this purpose. 12. Your dominant eye. Everyone knows their dominant hand but few know their dominant eye. To find it, make a small circle with your hands and peer through while focusing on a distant object. Alternate closing each eye. The eye that keeps the object in the circle is your dominant eye. 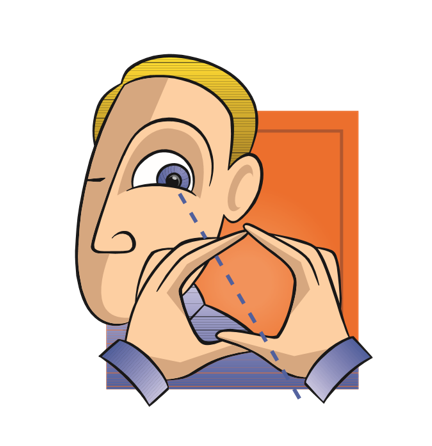 Place documents to the side of the dominant eye. This will reduce re-focusing and neck movement. 13. Your head is not a bowling ball… but it weighs about as much- anywhere from 10-14 pounds! 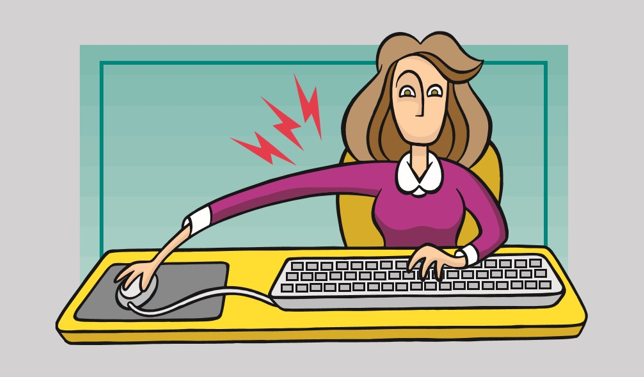 Craning your neck to view a screen too far away, bending it back to see a monitor too high, or bending it down to view a document places undue strain on your beck and shoulders. 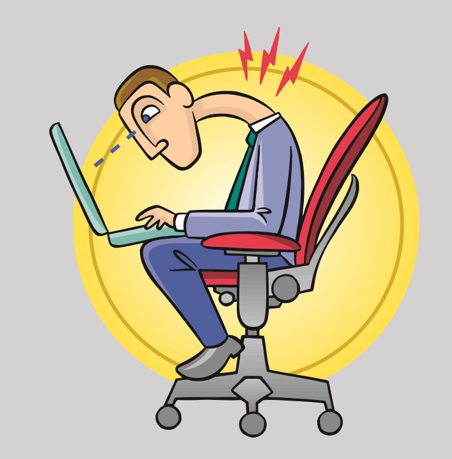 Avoid bending your neck in any direction while computing. Keeping your head straight could save your neck. 14. Elevate yourself to a comfortable level. The first step in arranging your work station is to adjust your chair. Position the seat height so your feet are flat on the floor with hits slightly higher than your knees. Using the keyboard without bent wrists or hunched shoulders. Position your monitor so the top line of the screen is no higher than eye level. 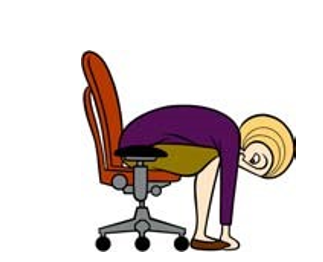 If you need to go higher, raise your chair and use a footrest to support your feet. 15. A glaring error. 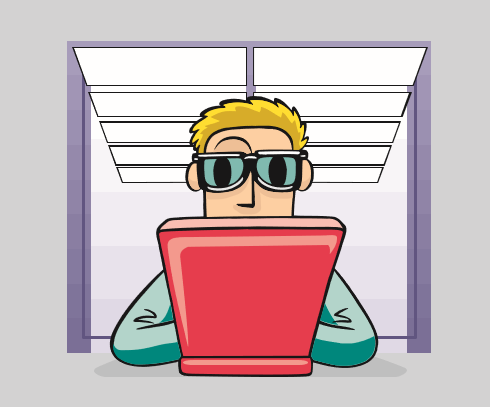 If you experience headaches or eyestrain at the computer you may want to check for glare. Simply turn off your monitor and observe what is reflected on your screen. The best way to combat glare is to eliminate its source. 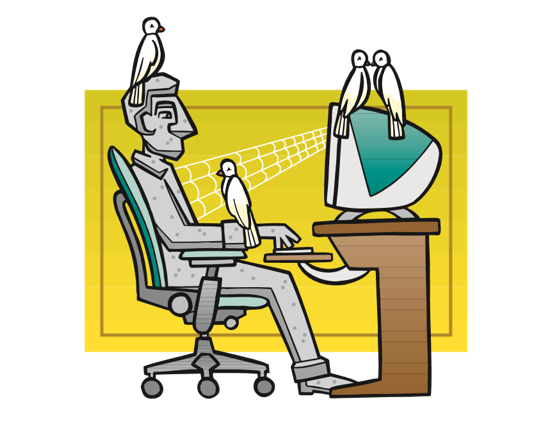 Tilt or reposition your monitor, turn off lights, or close blinds on windows. If all else fails, a glare screen can reduce the effects of glare. 17. The work surface is the wrong surface… for your laptop that is. It needs to be at the right viewing height. Otherwise, you’re liable to strain your neck as your attempt to find a comfortable viewing angle. A set of monitor blocks is a simple way to create elevation. Other solutions include adjustable platforms or shelves that can easily be positioned at a precise height on a slatted wall or rail-like support. 18. Don’t do the twist. 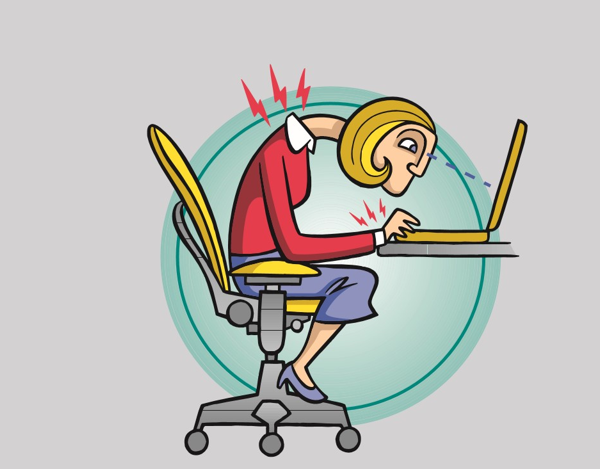 Bending and twisting in your chair can result in neck, shoulder, or back pain. 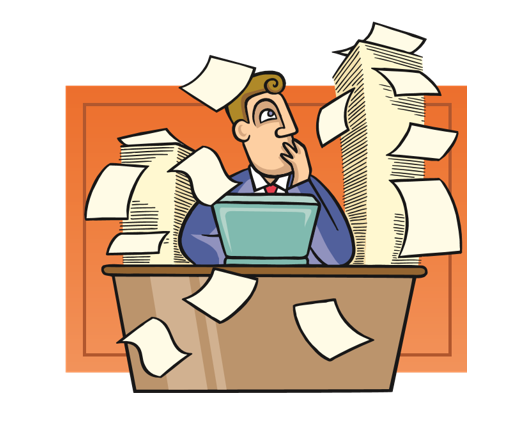 Prevent awkward positions by placing work tools – phone, printer, or other items your regularly use- close by. Minimize twisting, reaching up, or bending. Using organizational work tools to help keep regularly used work items easy to reach and easy to find. These periodic stretches can improve your body’s circulation, reduce tension, and help relieve the kind of muscle stress that can build up when working at the same position for long periods of time. Extend your arms overhead and clasp your left hand with your right hand. Keeping your arms fairly straight, gently pull your left arm to the right and hold for five seconds. Relax and repeat with your other side. Extend your right leg and point your toes directly ahead. Slowly flex your ankle until your toes point straight ahead and hold for five seconds. Relax and repeat five times. Or rotate your ankle in each direction ten revolutions.Repeat with your left leg. Hold your right leg just below the knee and hug it to your chest. Hold for five to ten seconds. Switch legs and repeat. Lean forward to touch your toes. Hold for five to ten seconds then slowly return to an upright position.